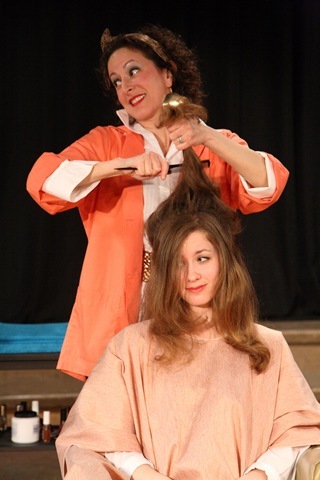 Something happens once one enters Saint Sebastian Players’ theater space at St. Bonaventure Church. 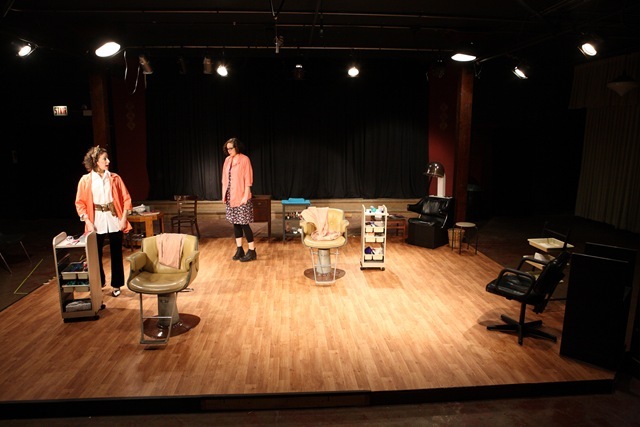 First, there’s the sign over the stairs on the way down—“The best theatre in a basement in the universe.” Then, there’s the palpable hominess, the obvious, open responsiveness transmitted between audience and cast. 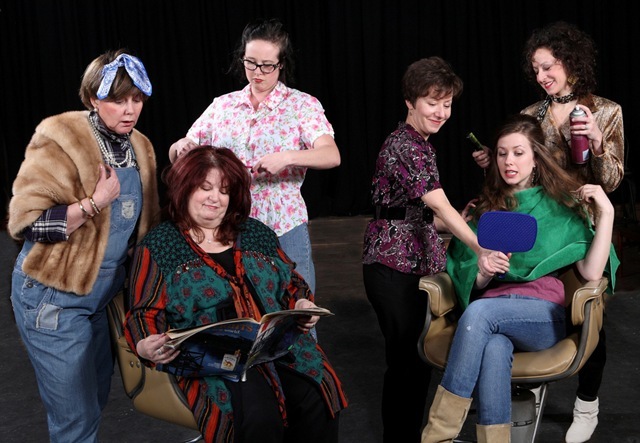 Clearly, SSP is a theater company that has fostered a strong, grounded sense of community over its 30-year run. That they would choose to produce Robert Harling’s Steel Magnolias fits their M.O. to a tee. Friendship and community that sees people through the rhythms of the years probably resonates more here in this space than any other in town and Chicago is simply full to the brim with small theaters that offer an intimate experience. 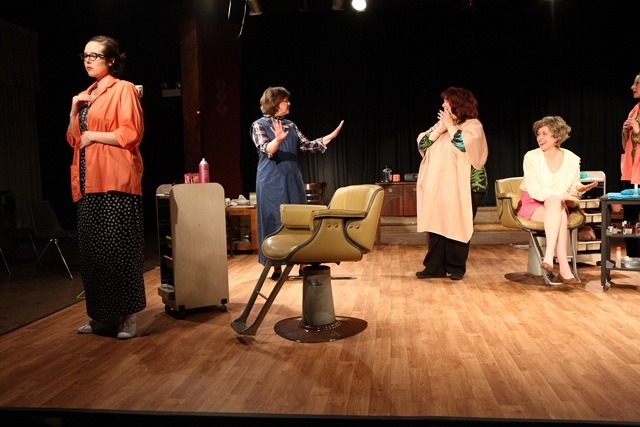 But something about the gentle care Steven Walanka’s direction takes with each scene between the women of Truvy’s (Tricia Rogers) hair salon suggests the intimacy of family–or people who know and accept you better than family. Those ladies who show up to Truvy’s are legendary: Annelle (Kaitlyn Whitebread), nervous, naïve and on the run from her criminal husband; Clairee (Deborah Rodkin), widowed and searching for a life beyond being the mayor’s wife; Shelby (Margaret Scrantom), always pushing herself past the limitations of diabetes; M’Lynn (Jill Chukerman Test), her stoutly pragmatic mother; and Ouiser (Kate O’Connor), cantankerous, idiosyncratic and unstoppable. Saint Sebastian’s cast runs the risk of having every minute of their performance gauged against the 1989 movie. Yet, they succeed in creating a genuine world of their own. Walanka’s direction starts each scene at a comfortable, neighborly pace, which allows his actors to dip into quiet, confidential moments with each other, before building to surprise or confrontation. 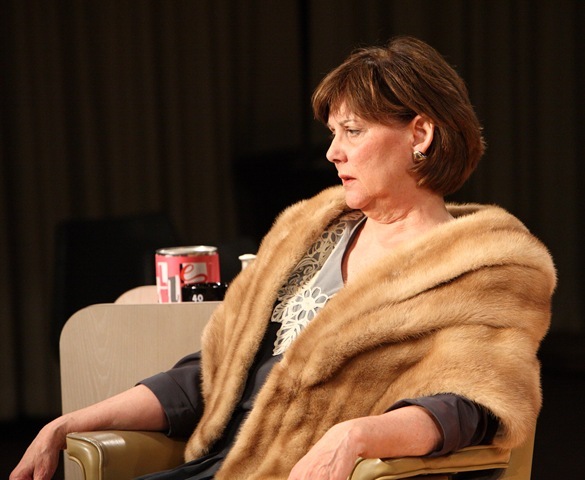 For the most part, the cast follows the comedy’s natural rhythms organically. The testy, if loving, relationship between Shelby and her mother, M’lynn, stretches out over years of bright hope for Shelby’s future with her new husband to dire health consequences stemming from choosing to bear a child against the advice of doctors. In the meantime, Chairee and Ouiser gamely get on each other’s nerves and Annelle goes from scared runaway to party girl to born again Christian. It’s capable, sassy Truvy that provides the safe, gossipy space that is their home away from home. That’s not to say that SSP’s production is perfect. Opening night found a couple of actors starting cold and only warming to their parts by the second scene. Also, while a low-key approach to building relationships between these characters definitely has its pay-offs, there’s equally the danger of some scenes’ moments dragging. 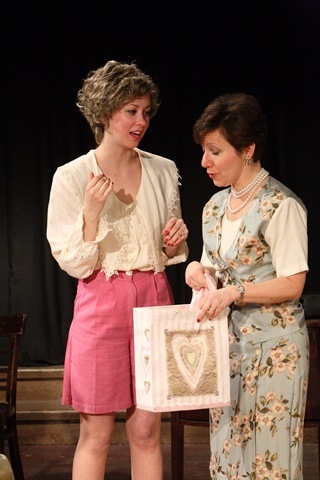 But, all in all, this cast projects the essence of camaraderie between women. Furthermore, Scrantom brings the right blend of independence and vulnerability distinctive to Shelby, while Chukerman Test brings her role as M’lynn home with simple and convincing interpretation of her frustration and rage over Shelby’s death, as well as her endurance. 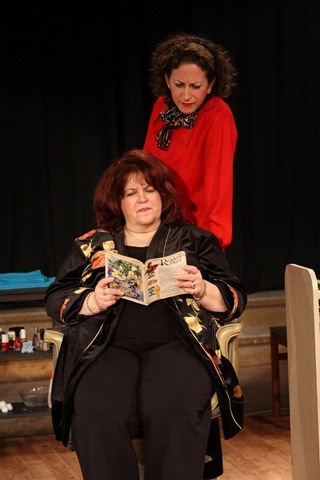 Overall, the production communicates the vitality of these characters and they communicate it to an audience that fully, wisely, appreciates its substance, as well as the laughter.